The umbrella group representing Syria's political and armed opposition factions has set out a plan for a political transition to end five years of war. The High Negotiations Committee (HNC) proposed holding six months of negotiations with President Bashar al-Assad, accompanied by a full ceasefire. Mr Assad would then hand over power to a unity government that would run Syria for 18 months and organise elections. 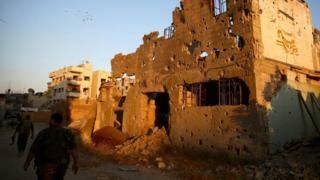 Syria's deputy foreign minister later insisted Mr Assad would not step aside. Faisal Mekdad told the BBC that demands that the country's elected leader be removed were "crazy". What's left after five years of war? Mr Assad has consistently refused to step down since the beginning of the war, which has left more than 250,000 people dead, and correspondents say the recent battlefield successes of his forces have only hardened that view. If the document on a transition in Syria had been produced by the political leaders of a victorious army at the gates of Damascus, it could be seen as an enlightened blueprint for the future. But the regime in Damascus will dismiss it, because President Bashar al-Assad seems more secure in the capital than at any other time since the war started. In 2013, when the chemical attack on the city's rebel-held eastern suburbs seemed certain to provoke American air strikes the regime looked shaky and afraid. But the strikes never came, and since then the president and his men have strengthened their positions. Crucially, Russia has intervened directly on the battlefield. President Assad cannot win as things stand, but he cannot lose either. The war gets more complicated every year. Regional superpowers, and the world's most powerful countries have intervened. Dozens of different, and sometimes overlapping rebel groups operate on the battlefields. All have their own agendas. It's a mini world war. No wonder diplomacy fails. 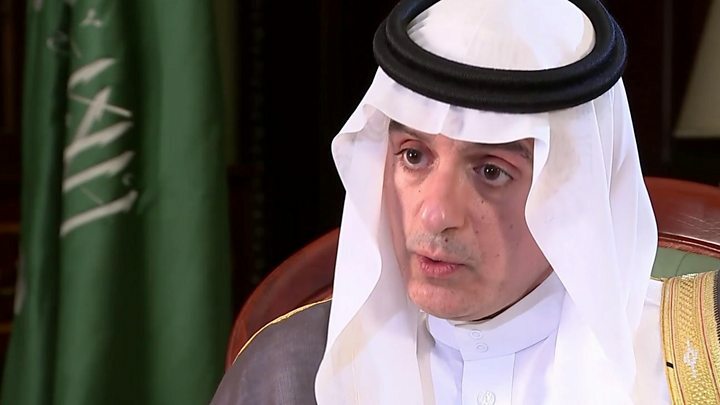 Saudi Foreign Minister Adel al-Jubeir said the plan would test whether Mr Assad's allies, Russia and Iran, were prepared to put the "necessary pressure" on him. Mr Jubeir discussed the HNC's blueprint with other foreign ministers from the Friend of Syria group of countries that support the opposition. UK Foreign Secretary Boris Johnson, who hosted the meeting, wrote in The Times that there "was still a chance that this vision can be made to work". "If the Russians and Americans can together create a ceasefire, then the talks can restart in Geneva with the difference, perhaps, that all sides will by then have seen at least the scaffolding of a post-Assad Syria," he added. Moscow and Washington, which have backed the opposing sides militarily, have so failed in recent days to reach an agreement on a new cessation of hostilities. US officials are concerned by the deteriorating conditions in and around Syria's second city, Aleppo, where rebel-held eastern areas are once again under siege after government forces advanced over the weekend. Activists said on Wednesday that one man had now died as a result of a suspected chlorine attack on the rebel-held Sukkari district the previous day. In a separate development, the Syrian government began freeing dozens of opposition supporters imprisoned in Hama, Homs and Adra, outside Damascus. Activists said the government was seeking the return of the bodies of several Russian troops who died when their helicopter was shot down by rebels last month.